The Bolt Pro 300 offers up to 300ft of zero latency wireless video, perfect for focus pullers and director’s monitors. The 300 model comes in HDMI, 3G-SDI, and dual I/O varieties and includes a new fan-less receiver design with internal antennas. Like all Bolt models, the 300 also includes the new USB 3.0 GRAB Engine. 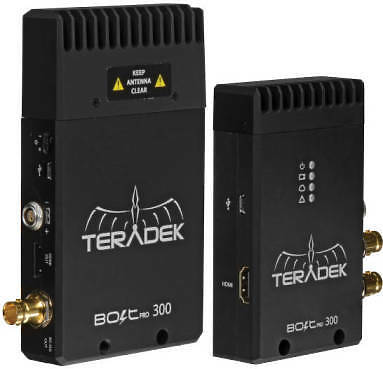 All outputs on the Teradek Bolt Pro receiver are active, therefore allowing cross send.